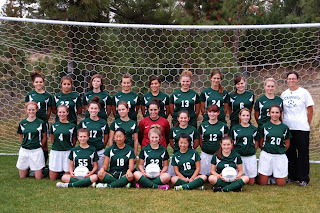 The 2011 Chrysalis Soccer season was a season of growth and improvement. With 24 players on the team, we had a wide variety of experience and skill. Our team captains were all experienced Chrysalis soccer players who lead the team on and off the field. We had several students who had never played soccer before, but they developed a general knowledge of the game and enjoyed being involved with a team. Each week we had a team dinner after practice and the girls seemed to enjoy the camaraderie. We won our first game of the season at the end-of-the-year tournament, beating one of our long-time rivals. The girls screamed and cheered with joy; they were so proud of themselves and as the coach I was also proud of them. We concluded our season with a banquet, complete with awards and a viewing of the movie "Bend It Like Beckham" at the request of the students. 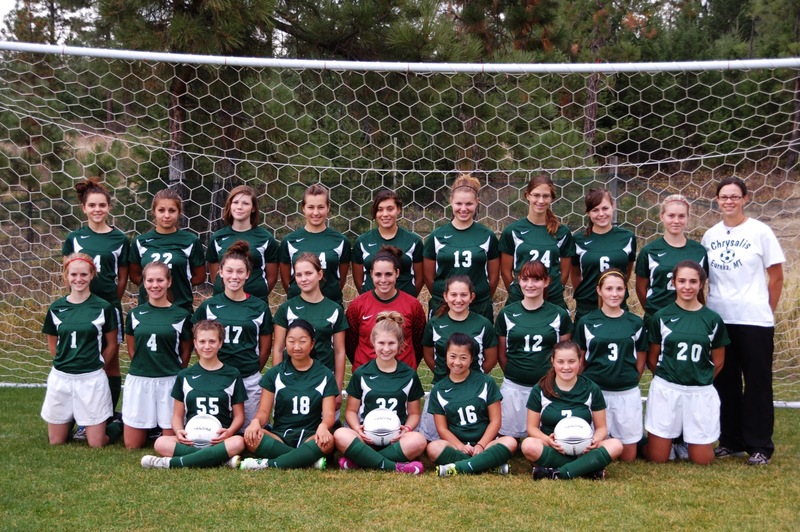 Well done, Chrysalis soccer girls!